If Punta Arenas exudes an “edge of the world” air, it’s not without reason. 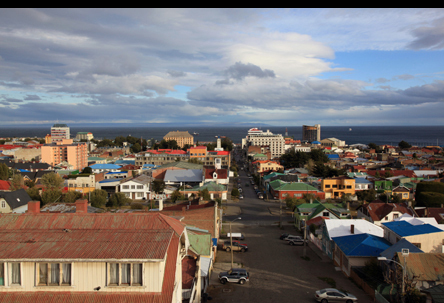 This windblown city near Chile’s southernmost tip sits on the Strait of Magellan, which itself is positioned squarely between the Atlantic and Pacific oceans. The city has played — and continues to play — an important role in geographic, political and economic affairs in South America’s so-called Southern Cone, which is formed by Chile and neighboring Argentina. Too many travelers rush through Punta Arenas, treating it as a pit stop on their way to the stunningly beautiful landscapes of Torres del Paine National Park and other attractions in Patagonia, but there’s plenty in this city and its environs to experience, too. From penguin spotting on Isla Magdalena and kayaking the Strait of Magellan to visiting area farms and then indulging in surf-and-turf specialties (here meaning fresh seafood and asado, or Chilean barbecue) at local restaurants, Punta Arenas is worth a stopover all its own.